This apartment is situated on the first floor in Okrug Gornji on the island of Ciovo. It is convenient and comfortable. The large terrace overlooks the magnificent sea. This apartment is situated on the first floor in Okrug Gornji on the island of Ciovo. It is convenient and comfortable. The large terrace overlooks the magnificent sea. Take advantage of the proximity to the finest beaches of the island. 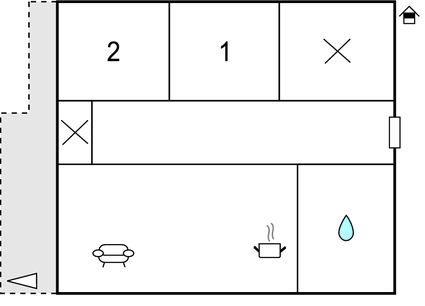 On the shared outdoor barbecue, you can prepare delicious meals, while the children can play carefree on the fenced yard. We recommend that you visit the historic town of Trogir, which is under the protection of UNESCO. As the island is connected to the mainland by a bridge, it is easily accessible. This apartment is made from brick or stone and was originally built in 1990 and refurbished in 2013. The agent has rated it as a three star property so it is a well-kept apartment, equipped with standard furniture. It is also good value for money. 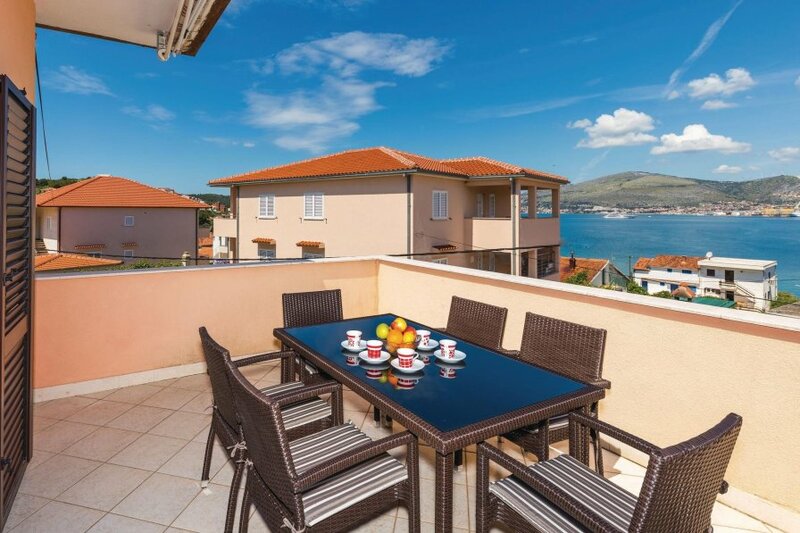 This apartment has sea view and is located in Okrug Gornji, only 3km from Trogir. It is set in a very convenient location, just 110 metres away from a stone and pebble beach. There's also a restaurant only 150 metres away.